I always love testing and playing with what my craft products and pushing to see what they can do. 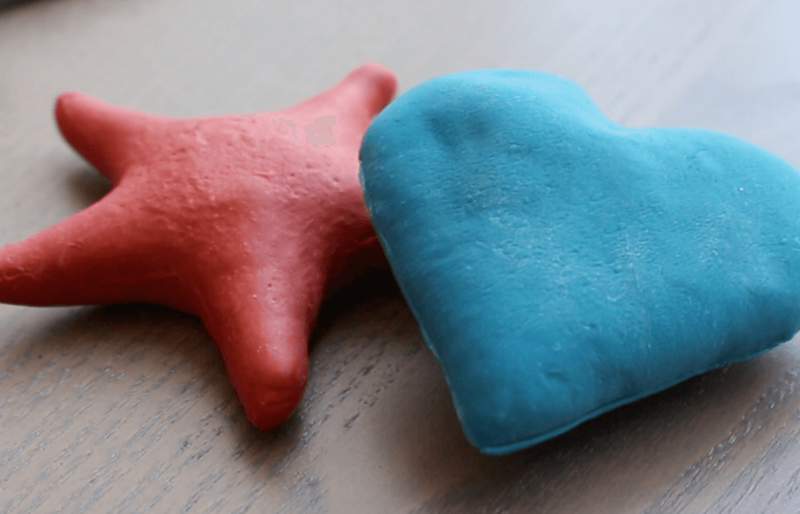 I was excited to find out you can actually make a hardened dough tinted with crayons for ornaments, beads, and more using Aleene's Original Tacky Glue, crayons, and some cornstarch! This dough is perfect for making fun and durable shapes to sculpt into decorative designs or even make as initial gift tags for packages. It's just as much fun to play with as an adult as it is for a kid! 4. Once the color is even, turn the heat to low and add the cornstarch in small batches, stirring until all cornstarch is mixed into the glue. This will get pretty thick. 5. After the dough forms, drop it onto wax paper or parchment paper to cool for about 5 minutes. 6. After it has cooled enough to handle, shake some cornstarch over the mixture and work it into the dough, ensuring it isn't too sticky to work with. If it is still too sticky, just repeat the process until you can easily work with the dough. 7. 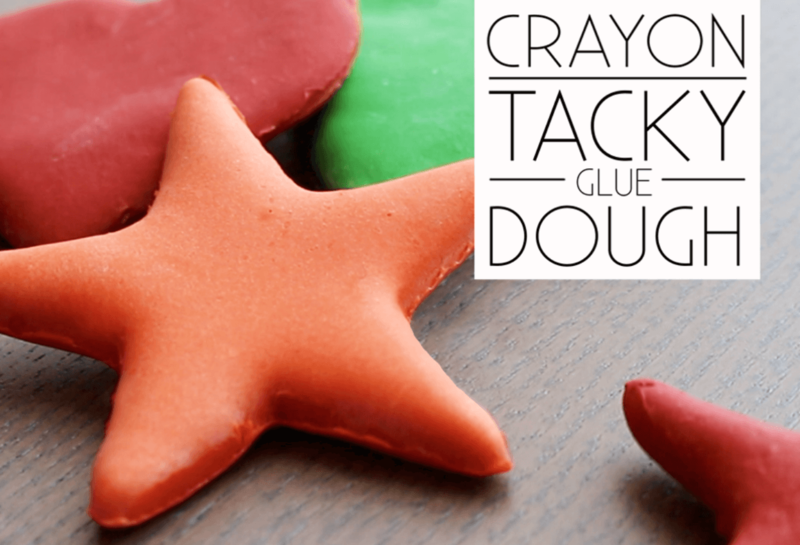 Roll the dough with a rolling pin and use cookie cutters to make shapes, or simply sculpt it by hand, as you would with clay. 8. Allow your creation to dry 48 hours (to get to a hard state), turning over as necessary to ensure all sides are aired out. My favorite part of this project is that the dough actually puffs up after you bake it! I like to call this the "Puffify effect". Create a puffy effect by baking your dough shapes in the oven at 200F on a foil lined pan for 1.5 hours. I plan on making some and screwing a small eye ring into the top to make ornaments for the holidays and charms for necklaces.